When Karen Hunt Ahmed and her Muslim husband divorced four years ago, many friends asked her, "Now you can stop this Islam stuff, right?" "Like it was a hobby I took up when I got married and now I'm supposed to drop it," said Hunt Ahmed, president of the Chicago Islamic Microfinance Project, which she founded with two colleagues in 2009. Hunt Ahmed, 45, is part of a growing sorority of female American converts to Islam, especially those who are or were married to Muslim men, who must deal with the perception that they converted to Islam because of domineering boyfriends or husbands. The stereotype was revived in the wake of the Boston Marathon bombings, when news emerged that the wife of bombing suspect Tamerlan Tsarnaev, Katherine Russell, converted to Islam after meeting Tsarnaev in 2009 or 2010 when she was about 21. Tsarnaev, 26, was shot and killed during a standoff with Boston police while his 19-year-old brother, Dzhokhar, was taken into custody and now faces a raft of terrorism charges. "It's not just Fox. A lot of the media have portrayed her as someone who was brainwashed and who didn't know what she was doing," said Edlyn Sammanasu, who was born to Catholic parents and started studying Islam when she met her Muslim husband in college, and converted when she was 21. "When I saw the coverage, I thought this was ridiculous," said Sammanasu, now 32, a technical writer in Fremont, Calif.
Seema Imam, an education professor at National Louis University in Lisle, Ill., has seen the same thing. She grew up as an observant Methodist but converted to Islam 40 years ago at age 17. "Whenever someone talks about Muslim converts being involved in something negative, it's done in a way in which people say, 'Be careful, look what happens when you become Muslim,'" she said. Converts to Islam are as diverse as the rest of America, racially and ethnically, as well as in their interpretations of the faith. Some female converts wear a headscarf, some don't. What they share is the perception from others that they are incapable of making their own choice in a decision that involved substantial spiritual wrestling. It's as insulting as it is inaccurate, they say. "These reports are misogynous in nature, reducing women to creatures who cannot think for themselves," said Malika MacDonald Rushdan, who converted in 1995 after divorcing her Christian husband. She made her "shahada," or declaration of faith, at the Islamic Society of Boston mosque in Cambridge, which the Tsarnaev brothers occasionally attended. "My faith, by definition, is for the Creator, not for my husband," wrote Ohio attorney Sarah Anjum, who converted almost 10 years ago, while she was in college studying Islamic political movements and Arabic, and four years before she met her husband. While some American Muslim women converted while single, those who started reading about Islam after meeting future husbands are incredulous over the idea that they converted to please them. When Kelly Wentworth, 35, told her Yemeni boyfriend that she was interested in learning about Islam, he pointed her to a Muslim professor who taught at Tennessee Tech, where the two were students at the time. When she later told him she wanted to convert, he didn't celebrate. "He was worried people would think that I converted because of him, or that I was being forced to convert," said Wentworth, a software engineer in Atlanta and board member of Muslims for Progressive Values, a national advocacy group. "The stereotype is out there. That's something I fight with now." Wentworth became so worried about how friends and family would judge her after the Katherine Russell stories that she couldn't sleep for several nights. A 2011 study from the Pew Research Center found that about 20 percent of an estimated 1.8 million Muslims in America are converts, while a 2007 Pew study found that 49 percent of converts converted by the age of 21. The 2007 study also found that 58 percent of converts converted for religious reasons, and 18 percent for family and marriage reasons. Female Muslim converts acknowledge that they have heard about Muslim women trapped in abusive relationships, but say that such relationships affect women of other faiths as well. "That has nothing to do with religion," Wentworth said. "That's a problem with personality." Katherine Wilson, a convert and Rhode Island resident who works with female victims of violence and sexual assault, said the media, by focusing on Russell's faith, missed a chance to speak about domestic violence. 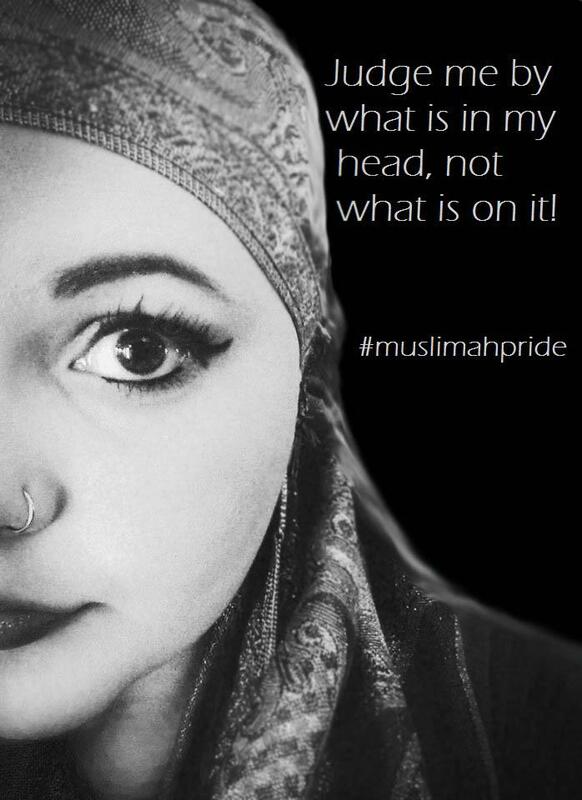 She believes Muslim women converts are perceived negatively because some people see their choice of faith as a knock against their own decisions. "I believe this is partially due to white privilege in that there is not an understanding why an 'all-American girl' would give up her privilege-assumed, carefree lifestyle," said Wilson. "I think it bothers people that an 'all American woman' would walk away from what they think is a great life, which is a stereotype within itself." While such stereotypes still annoy these women, many say they have grown tired of having to explain their decisions to convert. Which doesn't mean they aren't trying to change minds.